Jim Gaffigan: You got the planetarium tickets? Daniel: Shh. You're not even supposed to have these, OK? These are only for VIPs, and you are barely a P. Now, if anybody asks, you found these while you were foraging in the dumpster for your lunch. 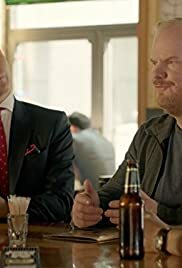 Jim Gaffigan: I did that once.